While we're on the topic of flags - here's another! I found this at the Bay Harbour Market. 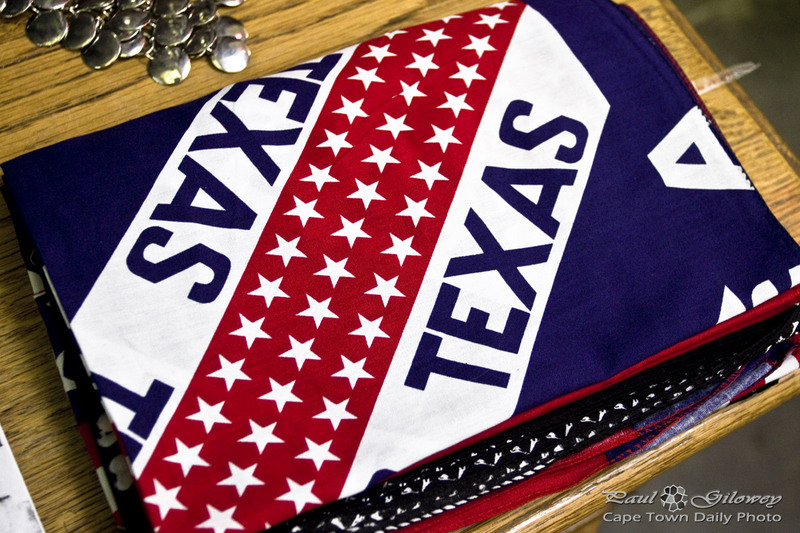 Don't you think it's peculiar to find a Texas flag at a craft market in Cape Town? Posted in General and tagged flags on Wednesday, 31 July, 2013 by Paul.